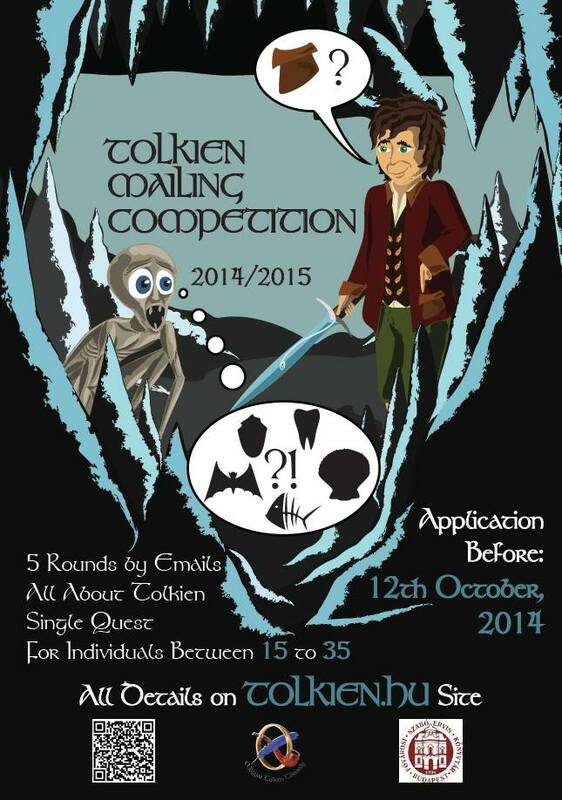 For eight years in a row the Hungarian Tolkien Society (MTT) has organised Tolkien Levelezö Verseny, the Tolkien Mailing Competition. School groups from the ages of 10 to 18 were asked questions, divided into three different difficulty levels, Hobbits, Dúnedain and Noldor. The MTT had more than a hundred participants each and every year and because of its success and the fun had by all in this, in its ninth year, this wonderful competition will again be offered in English and for a group of participants called Quendi (between the ages of 15 and 35). Participation in the Quendi category requires a thorough knowledge of The Hobbit, The Lord of the Rings, The Silmarillion and perhaps The Children of Húrin. Some questions (riddles, quizzes, etc.) will refer to other works by Tolkien, but you will have about four weeks for each round, so you will have enough time to look up in the books everything you need. There will also be some creative challenges. For example, to describe a situation, write a short poem, make a drawing or take a photograph, etc. We would like to be proud of our participants, so we ask you to share the rights of your creative productions royalty-free. The best of your works—with due credit to the authors/artists—might be published by the Hungarian Tolkien Society, e.g. on our website: www.tolkien.hu, or in our journal, the Lassi Laurië. Please do not publish these works yourself without consulting us first, and especially not before the deadline of the round in question. Deadline for entering the contest is October, 12th, 2014. P.S. : There also is a web video on the TLV. It uses only Hungarian captions but the pictures will still give you a good idea of the competition.